pikachu and Stitch. . Wallpaper and background images in the pokemon club tagged: pokémon pikachu. AWWWWWW! 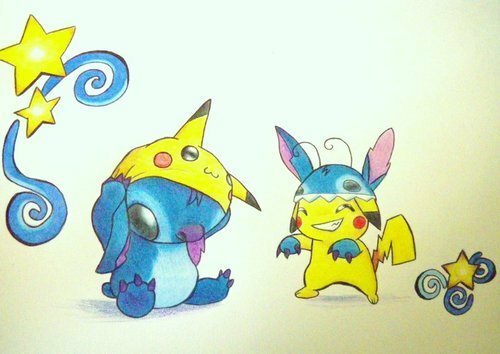 stich dressed as pikachu and pikachu dressed as syich! Ash in love!? The Unofficial Shipping Power Ranking!